Fuel tank holds 400 to 500 litre. The Tosca was designed by Angelo Lavranos as a cruising boat - built of fibreglass in Cape Town - to withstand South African waters. They are sloop rigged, centre cockpit, beamy with a good amount of space. This vessel has obviously been well maintained and gives the opportunity to sail away in comfort and style. 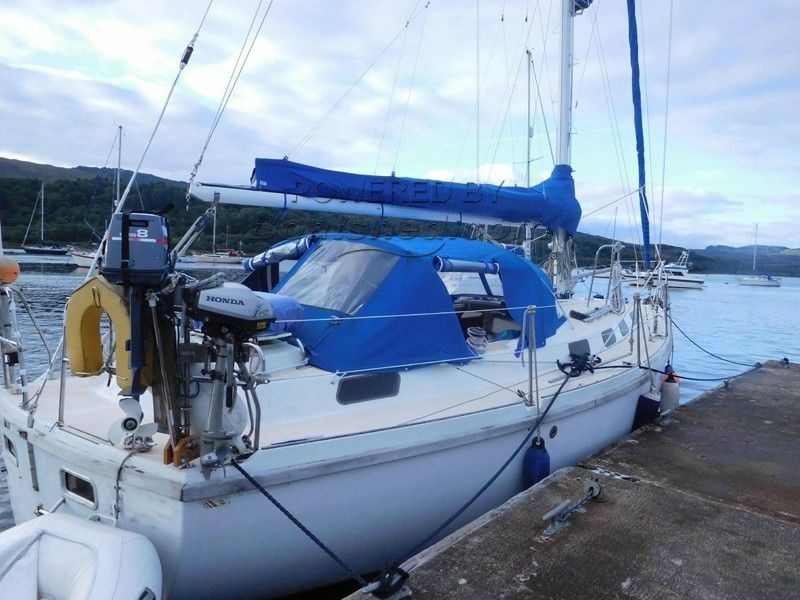 This Tosca 36 has been personally photographed and viewed by Ian Sawkins of Boatshed Scotland. Click here for contact details.